Sobering conceits often result in anthemic sloganeering at the expense of musical grace, but with M’Bizo, it’s as if the WSQ and their South African guests internalized the notions of Unity to the point of complete unity of performance. 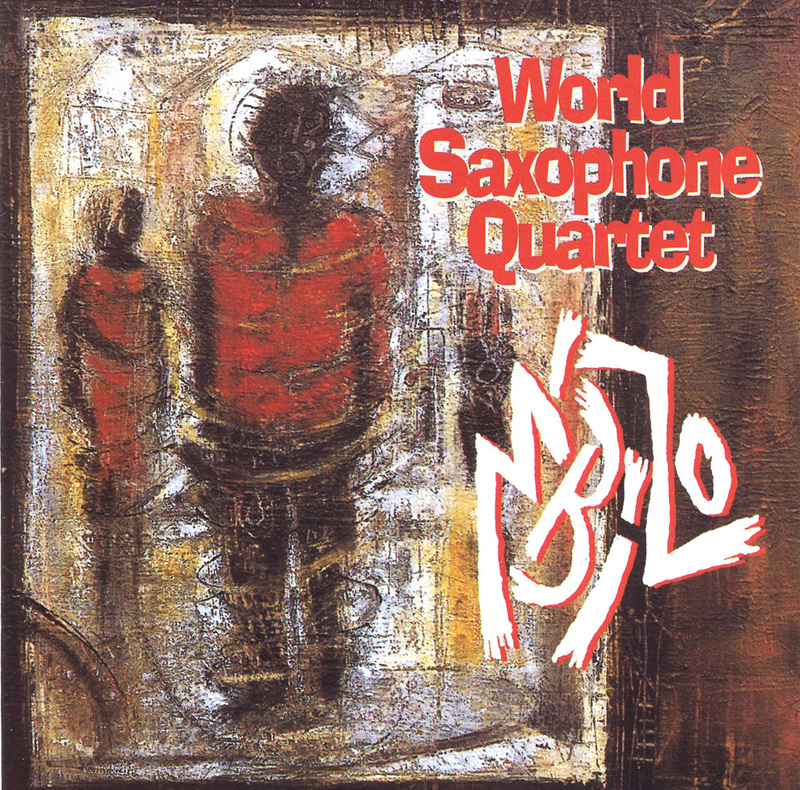 The entire album, true to jazz and to African music, moves like a conversive dance, where the opening gumshoe vocal/Makhoyane-instrument tandem of “Snanapo” is transferred to drums/bass, the horns reduce everything to ecstatic chaos before building melodic statements, given extra harmony and darker shadings by the keyboards, until the listener realizes that behind all this American Jazz Freedom the original South African segment had formed a spine that the WSQ had fleshed out. The Suite itself is built on the simple chant of “Africa-Europe-Asia” plus wordless syllables, presented first in a slow tempo, then doubled for “Sizelapha”. The album’s richest harmonies and melodies explode in the last two tracks. “Mashidiso” is especially touching. Murray asked the dancers to write verses expressing an expatriot’s longing for the country he had been forced to leave. The graceful song carries a woman’s name, and they - the South Africans and the WSQ - sing the type of “baby, baby” that hasn’t been heard around here in a long time.